Can Artificial Intelligence Make Us More Human? I believe that artificial intelligence (AI) and machine learning have the potential to bring humanity together. But currently, AI is driving us apart. Left unchecked and unregulated, AI and machine learning threaten to exacerbate societal inequalities and perpetuate systemic racial and gender biases. How might we integrate specific design choices into the development of AI to promote inclusivity that brings us closer together? What if artificial intelligence could make us more human? We are at a critical point in the development of this technology. With AI still in its infancy, the role of this technology is still malleable and can be directed. My work dissects the use of everyday artificial intelligence, such as the ubiquitous use of streaming services, navigation apps, and digital voice assistants. It explores the values embedded in this technology that “augments” our lives so seamlessly. It offers a counterperspective, a challenging of the status quo, and a rewriting of technology’s dominant narrative. I am here to ask the question of “what if?” as a cautionary interrogation, but ultimately, as a hopeful provocation. Before diving into how to manipulate artificial intelligence with specific design decisions, it was imperative to understand what AI is and how it is created. Who are the core stakeholders building this technology? Where are the opportunities we can identify for intervention? By creating a simplified systems map, this helped me boil down and define AI at a base level. Secondary research included reading books, white papers, and other publications by machine learning engineers, mathematicians, technology researchers, and international organizations. Additionally, to get a better understanding of pop culture’s portrayal of AI, I watched a large amount of sci-fi films and series. Select publications, films, and series from my secondary research. Where is an algorithm’s moral compass? How is it influenced? How are the issues of ethics, morality, and human rights being addressed in the creation of artificial intelligence? Should AI be regulated? If so, how and by whom? I had the opportunity to talk with over 30 subject matter experts on the topics of artificial intelligence, bias, inclusivity, and technological socialization. This included conversations with machine learning engineers, ethical technologists, behavioral and developmental psychologists, activists, and PhD candidates. A select group of subject matter experts that I had the opportunity to speak with. In order for rising technologies to be more equitable, we need more people understanding them and discussing possibilities and consequences. AI is already impacting many sectors including healthcare, criminal justice, hiring and recruitment, and transportation. On November 18, 2018, thirteen professionals from across seven industries gathered to discuss the future of artificial intelligence. Participants explored the embedded values in ubiquitous AI-powered products and services today like Amazon Alexa, Spotify’s Discover Weekly, and customer service chatbots. Participants were instructed to draw what Alexa would look like based on the sound of Alexa’s voice. Here are some of the illustrations. In the second part of the workshop, participants were divided into small groups. Each group was given a ubiquitous AI-powered product/service and was asked to ideate on: 1. Best Case Scenarios 2. Worst Case Scenarios and 3. Potential Solutions for Worst Case Scenarios. The adoption of smart speakers has skyrocketed over the last few years. According to TechCrunch, 41% of U.S. consumers now own a smart speaker. eMarketer, via a report by SuperAwesome, conveyed that 91% of kids ages 4 to 11 have access to a smart speaker, like Amazon Alexa, or digital assistant, such as Apple’s Siri. What if we could use smart speakers to push an agenda of diversity and inclusion for the next generation? This is the central question to a project I created called Rookee. I envisioned a ridesharing community for women, designed by women. HUES features lower rates for users at certain times. Specifically, like after dark, so that safety can be affordable for women—making it a feasible choice. Because this is a women-forward community, it attracts a significant amount of women drivers. HUES drivers are known for speaking multiple languages to serve diverse communities. Finally, HUES is accountable for users’ safety. At the end of a trip, it asks the user if they arrived home safely—a question women are often asked by their friends. Equipped with a 24/7 customer service line, HUES builds community on trust. 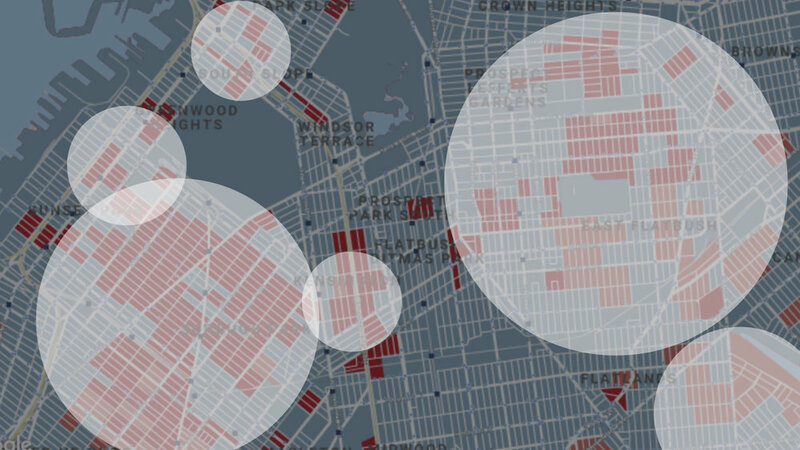 While most ridesharing vehicles congregate in financial centers, HUES’ algorithm is optimized to prioritize neighborhoods underserved by transit—where there is often significant demand but not enough supply. So safety can be not just affordable, but accessible too. Some of you may be thinking—“Sure, this sounds great. But how would you ever make revenue?” A preliminary business model, which I will be refining over the next few months. It involves empowering specific groups that are typically not included in the gig economy. Racial and gender bias are manifested in the product designs of technological devices. They skew minimal masculine, and sterile. In many ways, they feel uninviting and inaccessible. 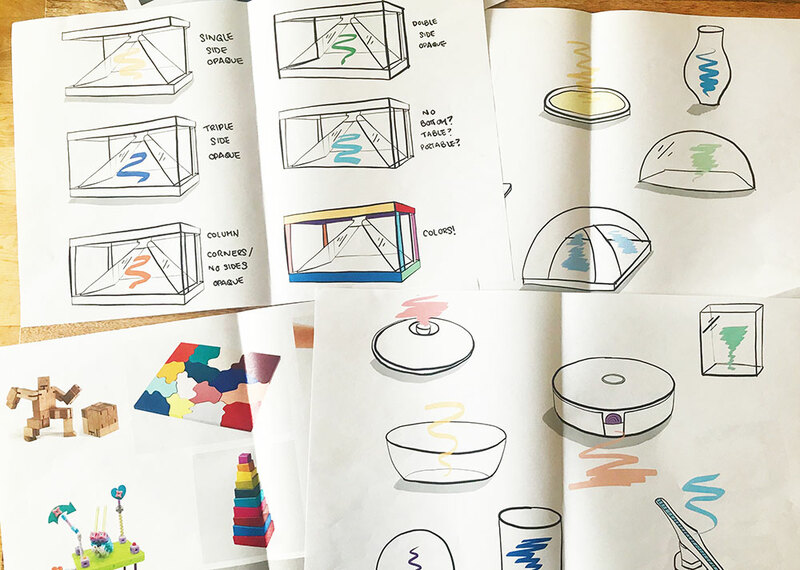 How might we create a fun and challenging entry point for children—especially girls—to be exposed to rising tech? Should we really fear artificial intelligence? AI has become notorious in media portrayals like 2001: A Space Odyssey, Ex Machina, and Westworld. But what if AI could be used to foster human connection? What if robots and humans could live together peacefully? 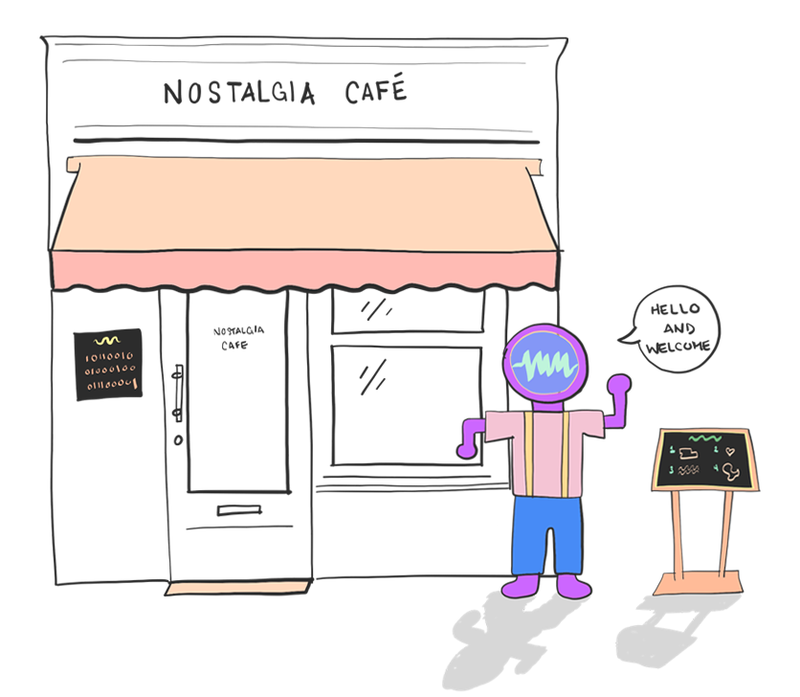 The Nostalgia Cafe is an interactive participatory installation that merges the analog world with machine learning in a delightful way.